Flore de la France Méditerranée 2014 as Stellaria media subsp. pallida (Dumort.) Asch. & Graebn. A much-branched herb, generally yellowish-green in colour. 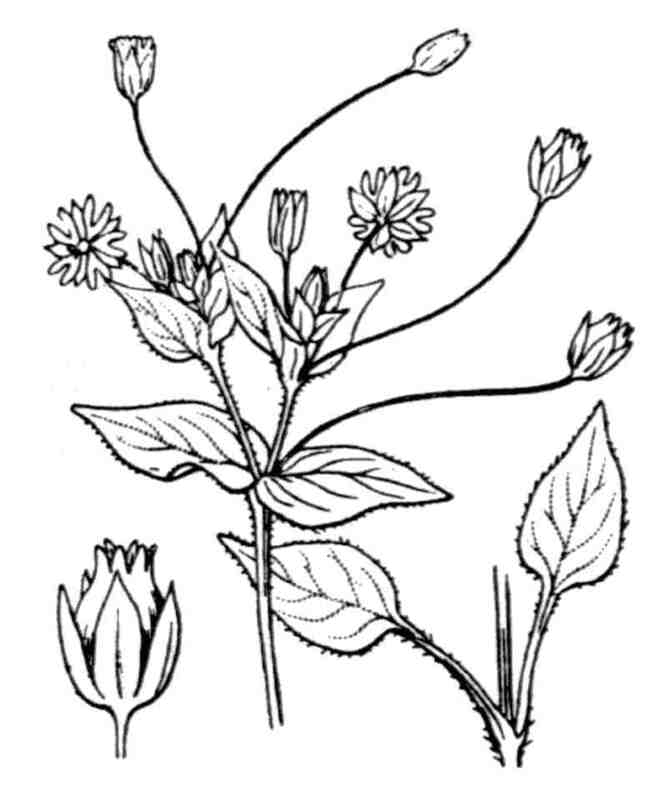 The stems are prostrate, usually 10-20 cm long, though some can reach 40 cm, and glabrous with a single row of hairs between each pair of nodes. Leaves: are pale-green and ovate, up to 1.5 cm long and usually less than 0.7 cm broad; proximal leaves have a short stalk, distal leaves are sessile. Fruit: The numerous seeds are pale yellowish-brown, occasionally darker, 0.6-0.8 mm in diameter, with prominent small, blunt tubercles.